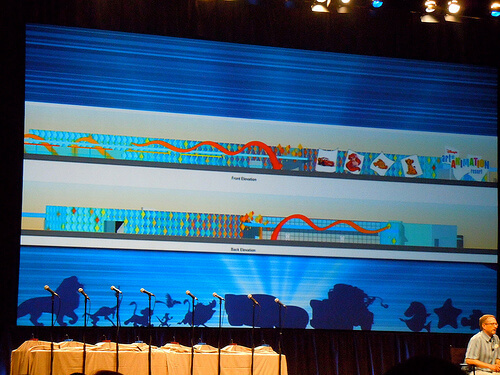 During the “Imagineering Walt Disney World” presentation at Destination D: Walt Disney World, Imagineers revealed many new details coupled with new artwork for the upcoming Disney’s Art of Animation Resort. 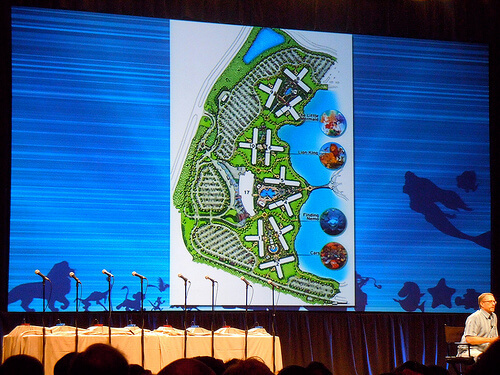 The new hotel is being built opposite Pop Century at Walt Disney World and is slated to open in 2012. 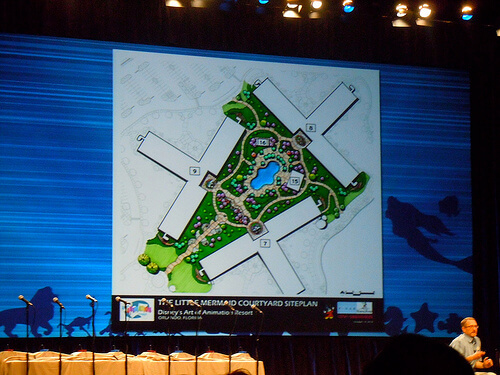 It will feature four areas themed after the Disney animated films The Lion King, The Little Mermaid, Cars, and Finding Nemo. 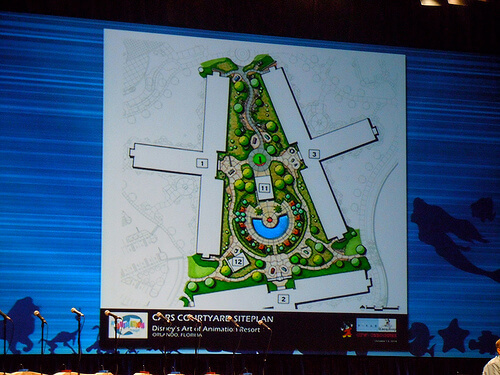 In all, the hotel will feature 10 buildings, 3 large pool and play areas. 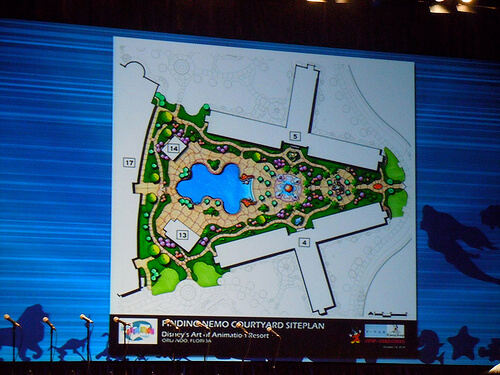 In a rapid-fire pace, Imagineer Gary Hoffman treated the Destination D audience to a first look of elevations, courtyards, and even inside the rooms that will be included in the Art of Animation Resort. 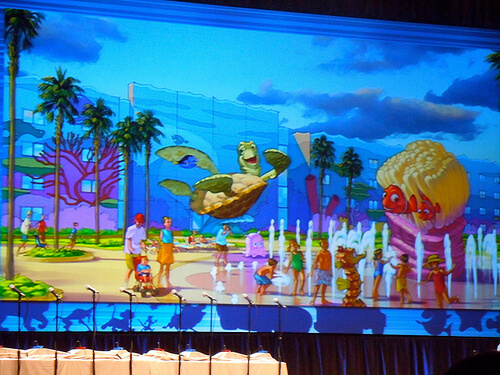 The story of the Art of Animation Resort begins in the “commercial building” which will feature original artwork. In there guests will be introduced to characters and become acquainted with the resort before stepping foot into one of four themed areas. 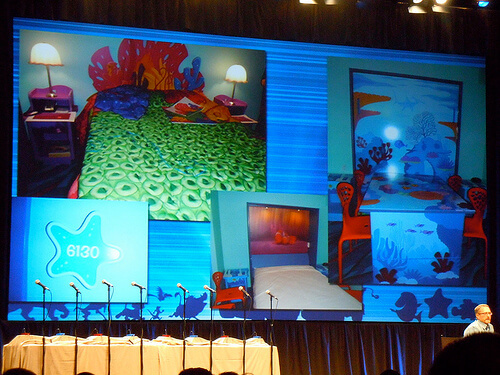 The Art of Animation Resort will feature an assortment of regular hotel rooms and plenty of new family suites that will sleep up to 6. 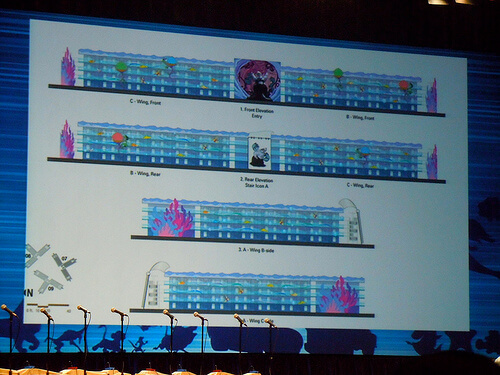 Rooms and hotel buildings are themed to four movies, each of which will feature its own elaborately themed courtyard. 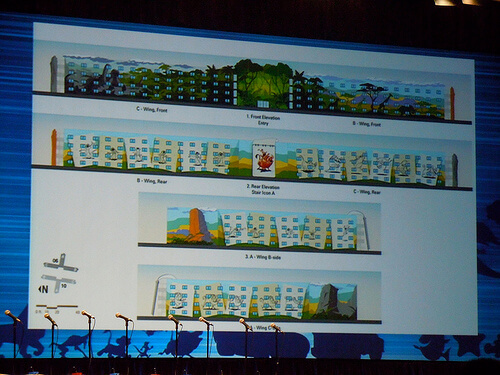 The buildings themselves will tell the stories of the movies via sketches and original artwork specifically for the resort. 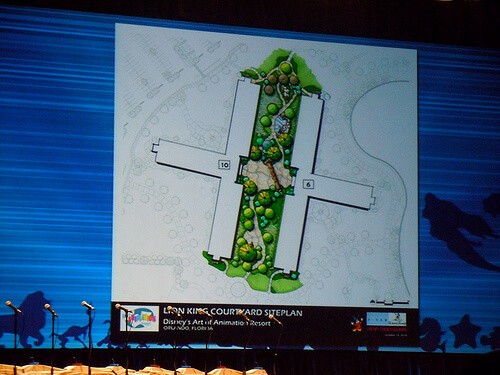 Below you’ll find new artwork for the elevations (buildings), courtyards, play areas, and characters that will be found throughout the Finding Nemo, Cars, The Lion King, and The Little Mermaid areas of the Art of Animation Resort, as well as photos of what some of the rooms themselves will look like. The scale varies in each section of the resort, making guests the size of humans, fish, lions, and sea creatures. The Cars courtyard will feature 11 familiar characters in a 1-to-1 scale. Nearby, the Cozy Cone will act as the pool area and hotel rooms are themed as rooms inside the Cozy Cone Motel from the film. 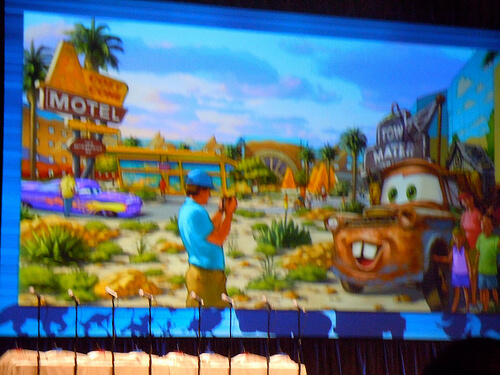 Buildings are themed to Lightning McQueen, Sally, Mater, and Luigi and Guido. 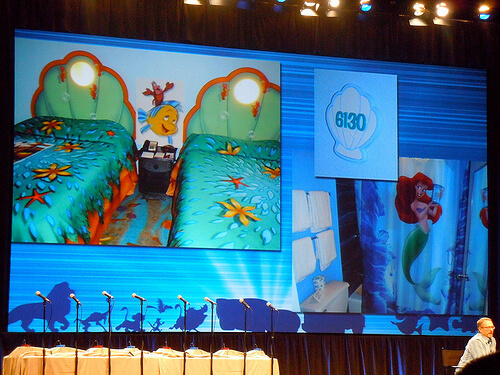 Rooms will have a murphy bed that folds down for extra sleeping space, but is themed when folded up. 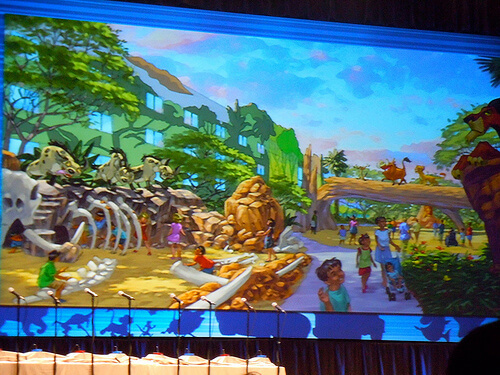 In The Lion King area of the Art of Animation Resort, the characters and theming will be pulled away from buildings more to allow for a natural setting in the immersive area. 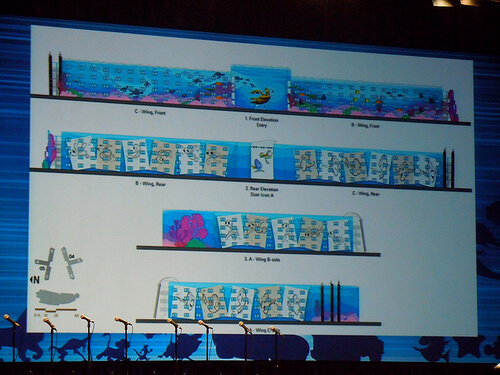 The Little Mermaid buildings will feature over 600 cutouts on the balconies featuring designs of fishes, waves, and other “under the sea” elements. 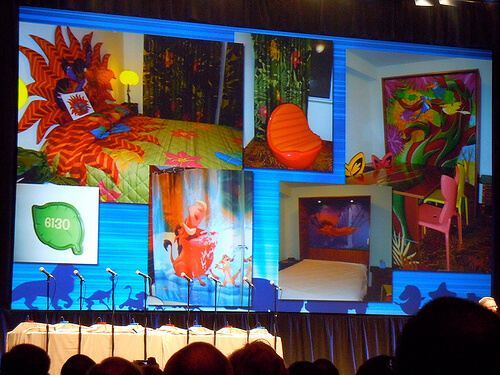 The Art of Animation Resort will open as a value-level resort at Walt Disney World in 2012. Looking really awesome! Not sure what room I’d want but I definitely wanna stay here soon as it’s open. What room to choose from?! I can’t wait to try this hotel out! These are beautiful! Can’t wait to see them. 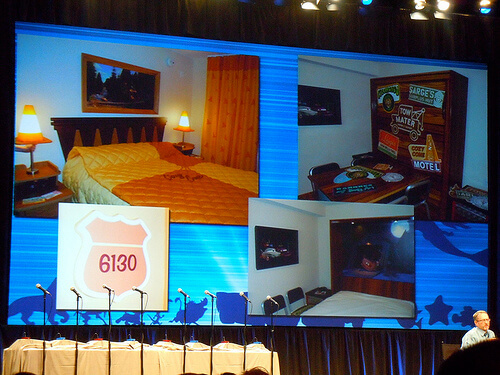 I like the themeing of the resort, but the room decor looks a little over-the-top, in my opinion. 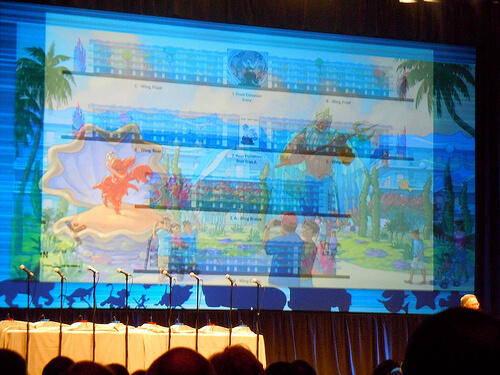 I look forward to seeing the resort in person. 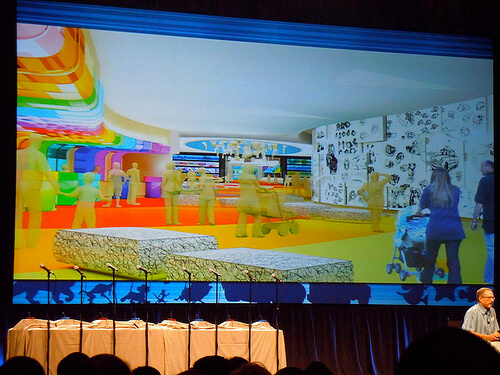 Hopefully Disney will make the rooms feel magical and immersive without over-doing it. I was thinking the same thing. There is nothing subtle about these rooms. The rest of the resort looks cool though. 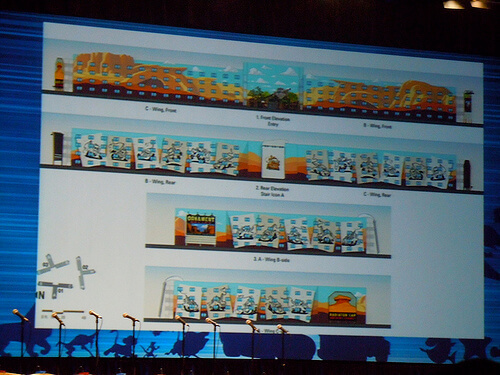 Disney’s Art Of Animation resort will be awesome! And I can’t wait the Opening of this resort in May 2012! This looks soo creative. Good job Disney. 5/31 is my birthday wish I could be there. Have fun. I have a question is there an attraction called Radiator Springs?